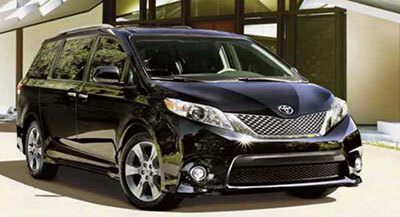 Toyota Sienna appeared for the first time in 1997 to replace the Toyota Previa’s first generation. Sienna was never a very popular model but it made sales. However, sales have been dropping in the last few years and Toyota decided to make a huge upgrade to the new 2018 Toyota Sienna. The truth is that 2018 Toyota Sienna is a minivan. And minivans aren’t very attractive to start with. In fact, most people who buy a minivan is because they need one and not because they want one. However, this is a segment that can be explored. And Toyota is doing what they can to turn the 2018 Toyota Sienna amazing. So, let’s take a look at what you can expect from the new 2018 Toyota Sienna. There are going to be some changes on the exterior of the new 2018 Toyota Sienna. The front grille will be larger and reshaped to include the openings for different headlights. The bumper also seems to have been updated and is looking larger than before. 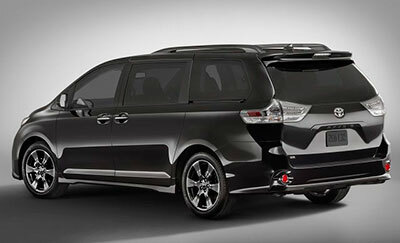 In case you’re familiar with the current Sienna SE model, you probably already noticed the “sporty” flared sills . In this new version, all 2018 Toyota Sienna models will come with it as a standard. If you decide to buy the new 2018 Toyota Sienna, you can expect to find some new colors. These include the Alumina Jade Metallic, the Parisian Night Pearl, and the Toasted Walnut Pearl. Even though the size of the new 2018 Toyota Sienna didn’t change, you’ll notice that the cabin seems bigger. And this was only due to the redesign Toyota made that includes better ergonomics. In what concerns with the trim materials, these were also upgraded. The plastics are now a lot softer, and depending on the trim level you choose you can even get wooden accents of high-grade leather. 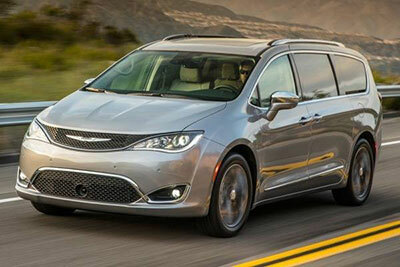 Overall, we have no questions that in what concerns with the interior, this is the minivan winner. Another thing that actually surprised us was the inclusion of a lot of equipment as standard. These include the Toyota Safety Sense (TSS-P) which includes many different features such as automatic emergency braking, pedestrian detection, adaptive cruise control, lane departure warning with steering guidance, and automatic high-beam headlights. 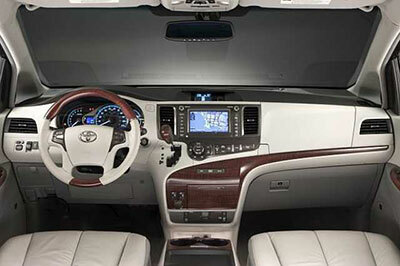 You will also get, as a standard, the Toyota Entune 3.0 multimedia interface. If there is a place where you won’t see any changes is under the hood. You will still get with the new 2018 Toyota Sienna, the 3.5-liter V6 engine which is capable of producing 296 of horsepower and 263 of torque. We completely agree that Toyota didn’t want to replace this engine. It was a news in the 2017 model and is still efficient. Plus, it is coupled with an 8-speed automatic transmission. The 2018 Toyota Sienna debut occurred at the New York Auto Show in 2017. In what concerns with the prices, the 2018 Toyota Sienna price for the standard version starts at $30,710, which is a great value for the money. However, depending on the trim level you choose, the price can go up to $50,000. Make sure to check out the latest 2018-2019 Toyota car models.